My dog says there are thousands of good people out there who rescue dogs, and we're so glad they're there to help! But, there are some rescuers, the super special ones, who do more. Tina Lythgoe is one such rescuer. Last January, Tina was asked if she could foster a young puppy who had just been dumped at the animal shelter. 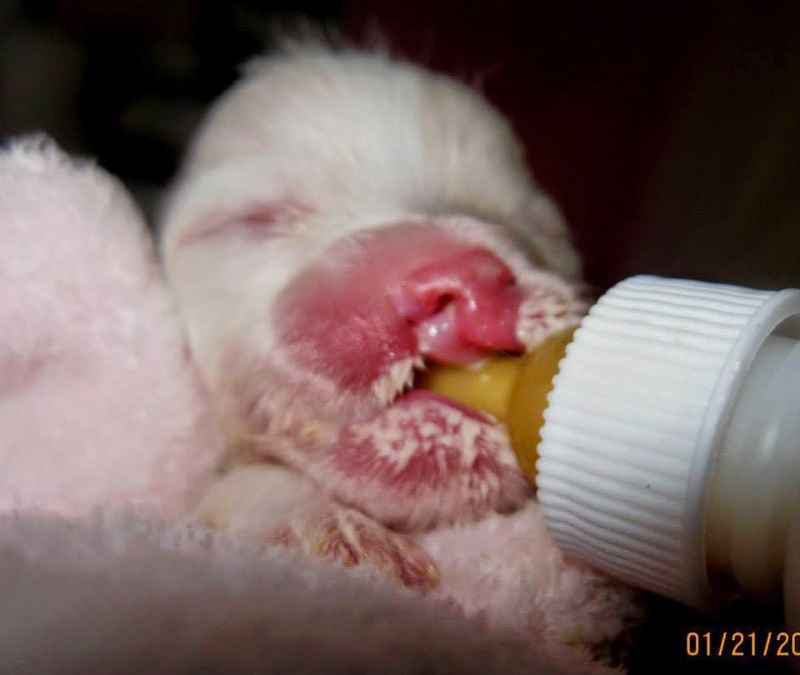 The pup was only 48 hours old and the heartless breeder had asked that he be killed. You see, the dog had a cleft palate and the man knew he couldn't make a hefty profit off an imperfect dog so he decided killing the innocent creature was the best solution (how evil and soulless can you be?). Fortunately, the shelter staff wanted to give this sweet baby a chance and a rescue group went to pick up the tiny pup to deliver to Tina. 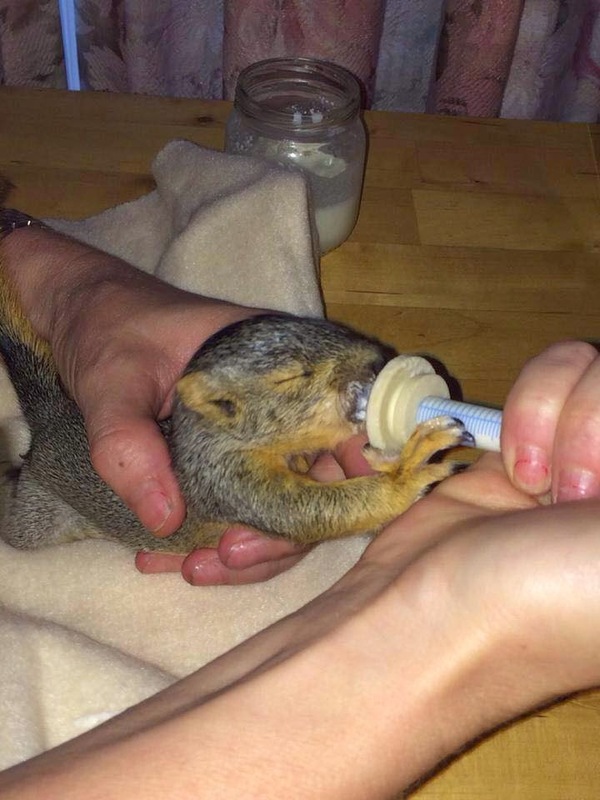 Tina bottle fed him, trying to give his little body the nourishment and warmth he needed to stay alive. A puppy should be with his mom and siblings during those early days and Tina barely slept so she could help the little boy pull through. Thanks to Tina's heroic efforts, the pup thrived and he was named Josh. Josh at two days old. Over that last 11 months, people on Facebook have watched Josh grow and flourish. 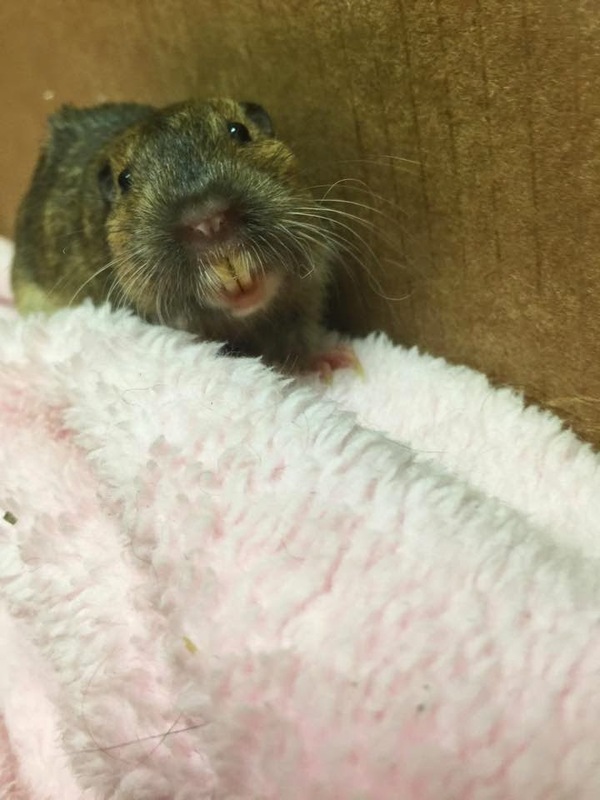 He's had to have a few teeth removed since they didn't fit in his mouth quite right, but the palate itself will not require surgery. Josh has a little bit of an Elvis sneer, but can eat fine despite the cleft palate and is one happy little guy. Tina, however, doesn't just rescue dogs. 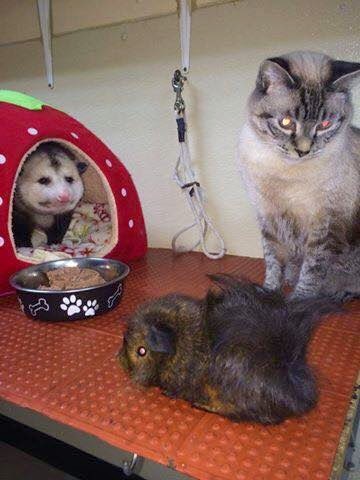 She rescues all kinds of critters: squirrels, opossums (check out Topo Gigio the Possum's Facebook page! ), birds, gophers, turtles, pigs, rats, and anyone else who needs her. Many require around the clock care until they're out of the woods. Then, if the wild ones are able to fend for themselves, Tina releases them back into their natural habitat. Tina is one of those folks who champions the underdog (we love those people!) and she's been sharing Josh's story to raise awareness about birth defects in dogs. She's also partnered with other special needs dogs on Facebook (such as Munster who has spina bifida and Brogan who has Addison's disease) to help show people that "imperfect" dogs are still special and wonderful and worthy of love and lifelong homes. Part of Tina's mission to educate has included entering Josh in a cover dog contest. The dog with the most votes, as determined by the public, will be featured on the cover of Modern Dog magazine. Tina believes if Josh wins, it will help further the discussion about birth defects in dogs and the dangers of backyard breeding, She's been rallying Josh's Facebook friends to vote for him so he can be an advocate for all the other "imperfect" dogs out there (to vote for Josh, click HERE). Tina tried to get Josh on the cover last year, but he only came in second. The pups here at My Dog Says Woof sat down today with Josh and Tina and asked a little about their mission to help animals. My Dog Says Woof: Why do you save ALL the critters and not just the ones people consider "cute"? Tina Lythgoe: I don't discriminate. I feel the need to help everything. 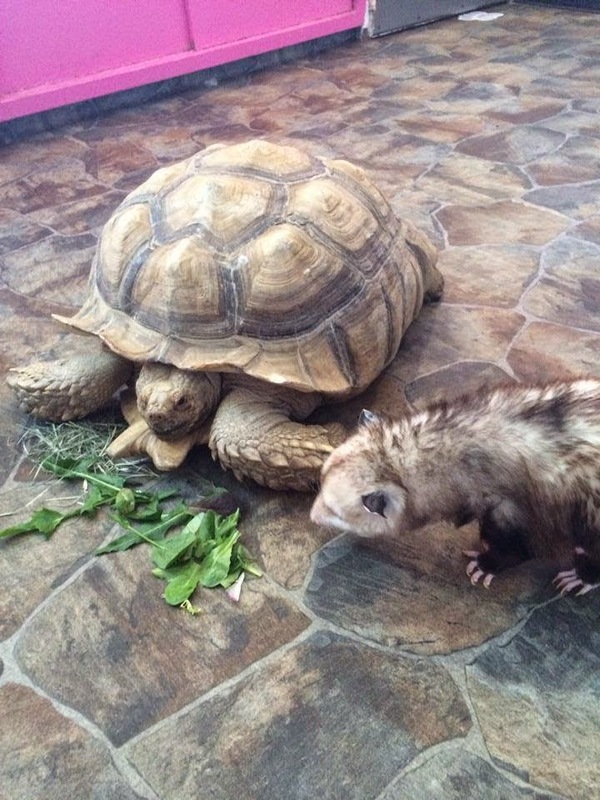 Even what people consider pests, like rats, gophers, mice, and pigeons. Some people save dogs and just dogs. Why? Why stop there? If something needs help I will jump through fire to help it. I will stay up all night. I will fight for its life. Even if it has given up, I won't. And I usually win, because I don't give up. I will never turn a critter down no matter what. If I don't have time, I will make time. If it has a heartbeat, I will help it. Even a human. Everything deserves a chance. 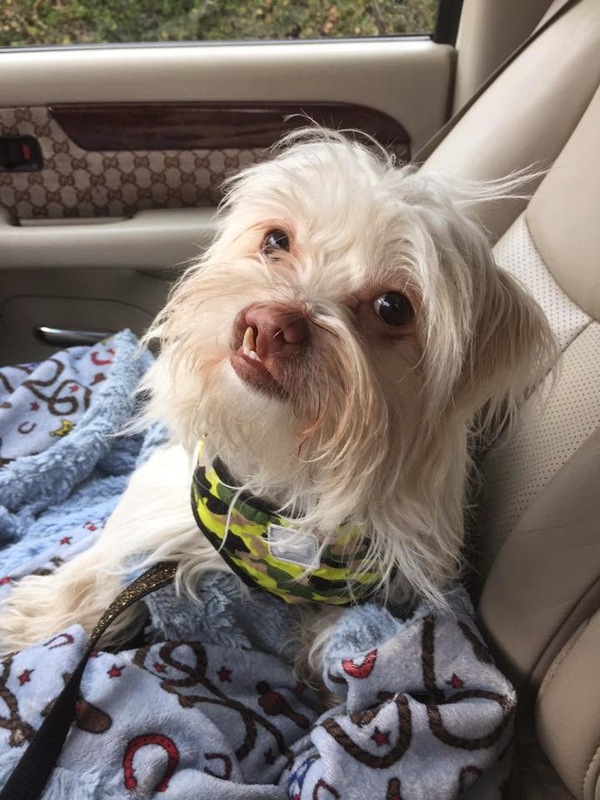 My Dog Says Woof: Why is it important to educate people about birth defects? Tina Lythgoe: As for births defects, I just want people to know that they don't need to be a death sentence. Animals can still live happy, healthy lives. And if they can't afford it, there is help out there. Most backyard breeders don't even know that they should not be breeding mothers and sons. We need to educate people. My Dog Says Woof: Why do you believe so strongly in helping animals? Tina Lythgoe: I have always believed in helping anything that needs help. I learned everything I know from my mom. She showed me how to do it all. As a kid I watched her do it. As I got older, I took over. I would not be the person I am today if it wasn't for her. My Dog Says Woof: If you had 3 wishes, what would they be? Tina Lythgoe: Wish #1. I wish the whole world would go vegan so the killing would stop. Who are we to kill something with a heartbeat? Who the hell saves a dog and goes home and eats a cow? Wish #2. Have ALL no kill shelters! Wish #3. I wish people would realize that wildlife lives outside and they have babies to feed. It's their land, too. If they're in your yard or on your lawn, eating your plants, remember that the outside world is their house. I wish people would have more compassion for so-called "pests." 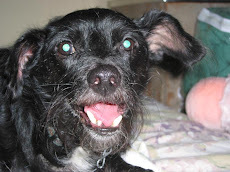 My Dog Says Woof: Josh's page, Josh and His Critters, has more than 50,000 likes on Facebook and continues to grow. What is the best part of having such a large Facebook community? Tina Lythgoe: Having a large following helps us to get the word out. We love sharing pages and links to donate to needy causes. We do not discriminate. We help ALL organizations, not just one. We love joining contests because it helps us educate people and win money to save more critters. We love helping other people and pets win contests, too. Most pages will ignore you, but not ️Josh and His Critters. We will help everybody because that's what it's all about. Most of all I want people not to lose hope in humanity. We are strong together. And together we can accomplish anything. Also maybe if someone sees me helping a harmless pest like a gopher or other wild creature, maybe it will change their mind about killing one. My Dog Says Woof: If Josh wins the Modern Dog Magazine cover contest, what will be the first thing you'll do to celebrate? Tina Lythgoe: Just thinking about ️Josh on the cover of Modern Dog makes me want to cry. That's how hard we tried to win it last time. 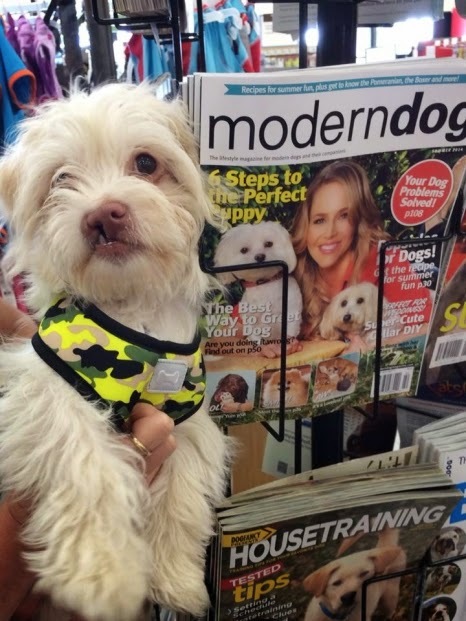 When was the last time you saw someone with a cleft palate on the cover of a magazine? NEVER. You usually see a beautiful purebred on the cover. I will celebrate in my tears if we win. I will cry my eyes out. I feel like crying now just thinking about it. 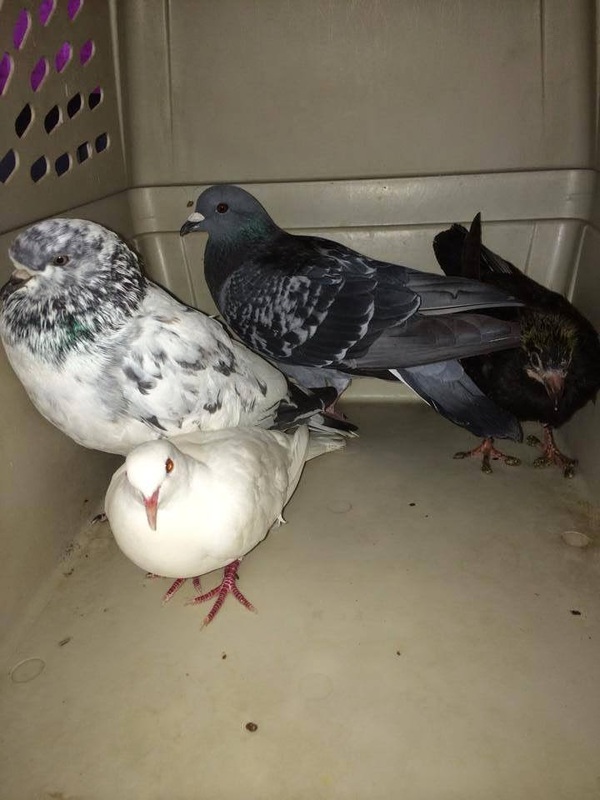 Also be sure to connect with Josh and Tina on Facebook, Instagram, and Twitter so you can follow the wonderful rescue stories they share and the fabulous photos of all the critters in their care. Josh just love this sweet face...hugs and kisses to you:) Tina you are wonderful woman a "Hero"
Thanks for stopping by, Melinda! We were thrilled to be able to share Josh and Tina's story! Thank you for reading and for supporting Josh and Tina and their whole family! I hope you're right and that more and more people are expanding that circle of compassion to creatures other than just dogs! Hi Barbara! Thanks for stopping by to learn more about Josh and Tina! Oh wow! I LOVE this story!! 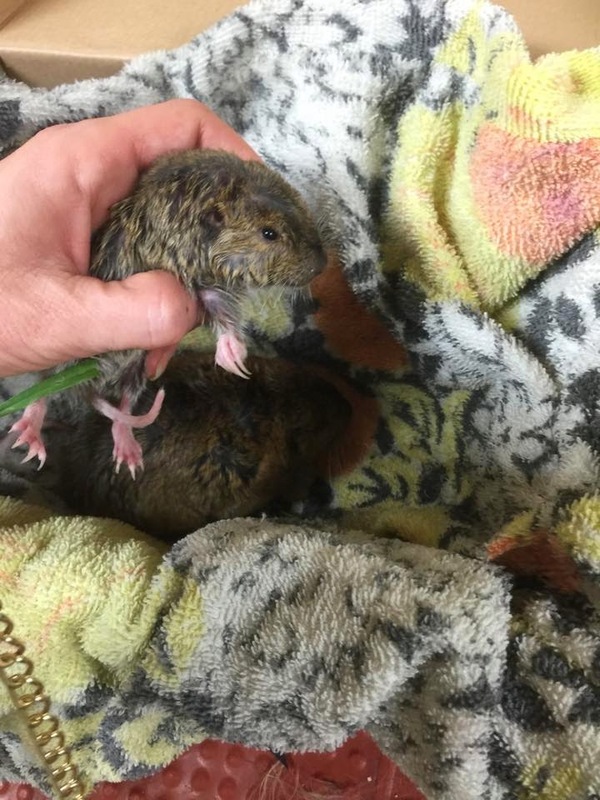 A friend shared this story with me as we have a little havanese rescue that looks just like Josh! I'm so glad she did! This story warms my heart! Thanks for reading, Jeannine! Feel free to visit My Dog Says Woof on Facebook to share a photo of Olivia on our wall! We'd love to see her!